For all the focus on war bows and armor, knights and the “band of English brothers,” it is important to remember that the Battle of Agincourt wasn’t just about arms and tactics. Soldiers on both sides fell in the conflict, leaving family members mourning and bereft. Hostages were taken in the fighting, requiring sizable ransoms to be raised in order to secure the return of these prisoners. And questions of proper behavior on the battlefield and the rightful reasons for waging war certainly must have loomed large in the minds of a generation that had, at that point, lived through nearly 80 years of conflict. To truly understand the full impact of the battle of Agincourt, and why it still carries such weight today, we need to go beyond accounts of valor and glory, and consider the words of those who stayed at home and carried on with their lives, namely, the women who lived through the triumph and tragedy, and who had to deal with the aftermath of both. What did the female onlookers and survivors have to say about the knights and soldiers who fought (and died) at Agincourt, and the code of honor that dictated how this encounter was played out? Anne Curry is the Dean of the Faculty of Humanities, and Prof. of Medieval History at the University of Southampton, England. 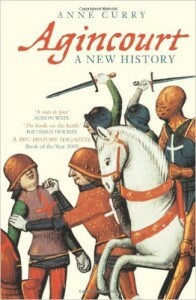 Her 2006 book Agincourt: A New History brought a very different perspective to the study of the battle and the campaign surrounding it, and it is being reissued in October, just in time for the 600th anniversary of the battle, in an updated edition from the History Press. Another book of hers, the “Agincourt” edition in the Great Battles series from John Offord Publishing will also be released in the month of October – which is a good indication of just how much focus there is on this battle as the anniversary approaches. Prof. Curry served as organizer of the Univ. of Southampton’s recent conference War on Land And Sea: Agincourt in Context, And she is currently working as the academic co-chair of the Agincourt600 charity. 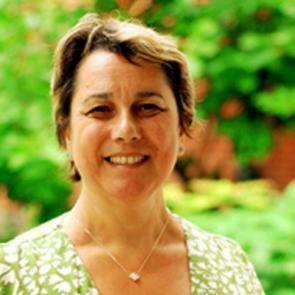 On July 16, Prof. Curry presented a talk at England’s Chawton House Library called Women and the Battle of Agincourt, in which she drew upon some notable contemporary letters and texts to explore the effects this famous battle had, not on men in armor, but on the women who had to deal with the aftermath months, years, and even decades after the arrows had stopped flying. Prof. Curry joins Scott to talk about the medieval woman’s perspective of honor, chivalry, and tragedy in wake of Agincourt.